The program harnesses visual storytelling, using illustrations, videos and imagery to break down complex information into something people can easily and quickly understand. All of the assets are flexible and editable with global access and unrestricted usage. The Australian Wine Discovered education program is supported by the Australian Government’s $50 million Export and Regional Wine Support Package, which aims to amplify the promotion of Australian wine, capture market opportunities and drive export and tourism growth. 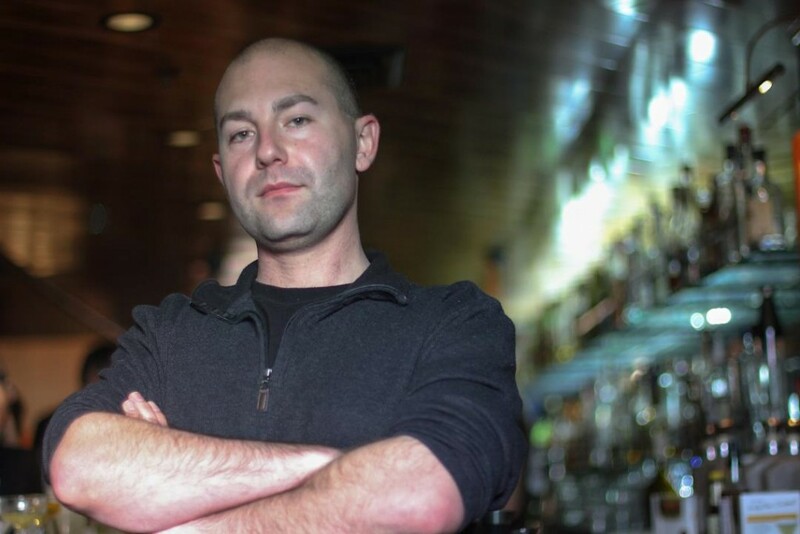 This week we learn all about veteran “Barman” Brady Weise, followed by a 5-question interview that should interest those that want a rewarding bar career and those of us that just like spending time in a bar. With a flare for the flavorfully dramatic and the keen instincts that gift top‐notch bartenders, Brady Weise has carved the perfect spot for himself among L.A.’s cocktail elite by creating memorable cocktails, many of which find their base in beer. It’s no surprise, considering Weise started brewing his own beer at 15 and won his first award for it at 16. The journey to becoming a professional bartender started in Chicago, where a marketing company hired Weise to launch Yellowtail Wines in Japan. When that venture was a success, Weise moved on to creating his own alcohol import/export business, which inspired him to step behind the bar and that is when he realized there was much for him to learn. He moonlighted at a few spots in Chicago and San Francisco, and then moved back to Los Angeles, where he split his time between building cocktail programs in Hollywood and working the bar at the famed Library Bar at The Roosevelt Hotel. After the Roosevelt, Weise moved to Pasadena where he was a lynchpin of the 1886 bar at the Raymond. Staying loyal to his roots and his market, Weise was one of the principal architects of the cocktail program at the Rathskeller. Still creating and always challenging conceptions with his work, Brady has moved into the event area where he spends his hours educating consumers and restaurant staff alike about new products and their space in the marketplace. Where do you see the future of spirits leading? The spirits industry is going through an unprecedented shift with massive consolidation of brand portfolios, huge multi-billion dollar mergers, and a marketing storm that we have never seen before. Part of this change is due to a failure of the current distribution model, and part of this is a function of attempting to broaden choice through the opportunities created by that system failure. In California for example, we have three major distributors; one of whom controls close to 80% of all major brands. This has allowed smaller labels to take advantage of holes in the market that large producers can’t fulfill. A great example of this would be the explosion of whiskey, gin, tequila, and rum brands. While vodka is still the most popular spirit, consumers these days are interested in well-balanced drinks that include ingredients that are unique with a range of flavor profiles. This has given rise to the bartender asking for more ingredients from producers that meet these taste requirements; whether it be bitters, unique syrups, or exotic herbs and spices, the bartender of today is a much different craftsperson from the bartender 20 years ago. I’d say one of the biggest challenges today is keeping up with trends and demand. It used to be even 10 years ago that one new restaurant a month had a cocktail program. Now it seems like there’s one a week! Bartenders have been really pushing new trends and keeping up with them has been part of the everyday challenge of the business. It used to be that a well-made Old Fashioned was enough to keep people excited. Now you have to have infusions, house syrups and tinctures, large block ice, etc. to get people to come and see your bar. I think this is great for the industry as a whole, but keeping up with all the changes can be exhausting sometimes. I find that it’s best to look at what changes are coming down the pipeline and to examine the trends as a whole rather than what’s hot and new this week. I was trained by some of the best in the business. Marcos Tello is a great teacher, and gave me a lot of the tools I still use when creating cocktails. Part of the reason his program is so successful is that he has templates and formulas for everything; you don’t need to guess at what you’re doing. This helps you to focus your energies on working within the formula, and not trying to reinvent it. The other training I’ve had comes from some of the best minds in the Los Angeles restaurant scene. Working with talented and determined people is always a joy; especially if it’s with the kitchen AND the bar. I think any bartender that refuses to work with their kitchen in menu creation is missing out on a huge chance to succeed. Part of my training also comes from the guests themselves; as you become successful their expectations of you changes. This forces you to keep evaluating your decisions when creating a menu. I think that is one of the most important lessons for me in recent memory. What advice do you have for a budding mixologist? Read a lot. A LOT. 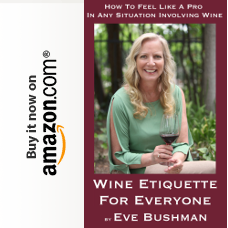 There are so many books out there that have technique and tips from some of the top talent around; they are basically giving you their bar programs for the cost of the book. Don’t watch YouTube unless it’s for fun; most of the information out there is incorrect and won’t explain execution to you like a book will. Another thing to learn about is the financials of a bar program. This is one of the points I can’t stress enough. If you can’t understand how the money is being spent, then you can’t be an effective asset to the business. Anyone can make an amazing cocktail with a $100 bottle of liquor and expensive produce. The trick is to make it taste expensive even though what’s in it is not. What events can drinkers find you next? I’m usually at events all over Los Angeles lately. I work with the MYM agency and they are great! I’m currently not behind any bar at the moment, but I’m always pouring something people enjoy. If you catch me at a bar, it’s usually in Pasadena. I live there and have great relationships with most of the restaurant staff around town. There are some great gems in Pasadena if you know where to look. Miami, FL – America is returning to its roots with a proliferation of local craft distillers creating authentic rums — as evidenced in the new American Rum Portfolio showcase at the 2017 Miami Rum Fest and Trade Expo. Is this the New American Rum Revolution? Festival organizers recognize the rapid growth of American craft spirits. The 2017 Miami Rum Fest scheduled for April 22-23 at the DoubleTree Miami Airport Hotel and Convention Center will highlight a collection of fine American rums selected by the editors of Robs Rum Guide. The American Rum Portfolio offers craft spirit producers an opportunity to present their best products at this large gathering of rum enthusiasts, experts and professionals. Rum connoisseurs and collectors will discover the most complete collection of American rums ever assembled under one roof. Before the American revolution, more than 8,000 distilleries in the American colonies were producing rum from the plentiful supply of molasses available through trade with Caribbean islands. Most ceased production by the time prohibition decimated the American spirits industry. Now, that downward trend is reversing. “In the past few years, more national, regional and local rum distillers are gaining well-deserved attention. Many are making their mark as true artisan spirits by winning awards and setting new standards for authentic, hand-made rum,” said Robert A. Burr, publisher of Robs Rum Guide. The annual gathering of rum experts and consumers in Miami is the place where rum reputations are made. The RumXP panel of expert rum judges from around the world gathers for their blind tasting competition. Rum producers from far and wide — as well as locals — gather to present their products to an eager audience. Rum distillers, importers, distributors and retailers come together once a year to collaborate and put their heads together to assess the direction of the rum industry. Now, American rum producers will take a front row position as the American Rum Portfolio debuts at this global gathering. 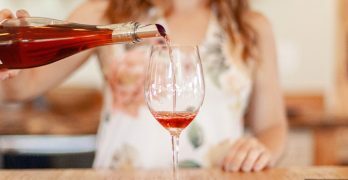 Filed Under: Guests Tagged With: blind tasting, distill, festival, import, rum, spirits, u.s.
For a recent wine tasting I was tasked with finding a wine made from the Semillon grape to share with a dozen or more other people, with the same task. I did an Google search to see what was new that I could come up with. I was interested in trying Stickybeak as another Facebook pal had mentioned it, so I contacted the winemaker, Wayne Donaldson. Wayne and I exchanged a few e-mails and then he forwarded my query to Old Bridge Cellars. Not a winery, “Old Bridge Cellars is an importer of fine Australian wines, and also produce their own Californian wines under the Stickybeak label, with Australian Wayne Donaldson acting as winemaker.” I e-mailed the company, told them of my quest, and they sent me the two bottles listed below to share. Below are my reviews, I used quotation marks for comments made by others in the group. Appearance – Clear, diamonds, pale amber edge. Finish – Long length, one guest suggested a “pairing with Sea Bass”. Appearance – Clear, palest of gold on the edge. Nose – Grassy, honey, pineapple, “grapefruit”, “pomelo”. My conclusion: We had nearly a dozen Semillon to try that night. We have found that only sampling one varietal, with a group, allows us to really learn about the wine’s nuances. My thought at the start, and a collective one my the end, was that the Semillons we tried from old and new world wine areas had one thing in common: aromatic noses that didn’t always carry through to the taste. It didn’t make too much a difference on what we liked, it was just an observation to call us the next time we try Semillon. In this age of ‘big company’ buyouts, increasing consolidation and mass production, Old Bridge Cellars brings you a group of Australian winemakers who retain their belief in artisan winemaking. Respecting the land and with minimal intervention in the winery, their wines remain true to the soils from which they come. They share a fierce commitment to quality and a determination to preserve their independence and regional heritage. Many are the second, third and even fourth generations of their family to work the vineyards. 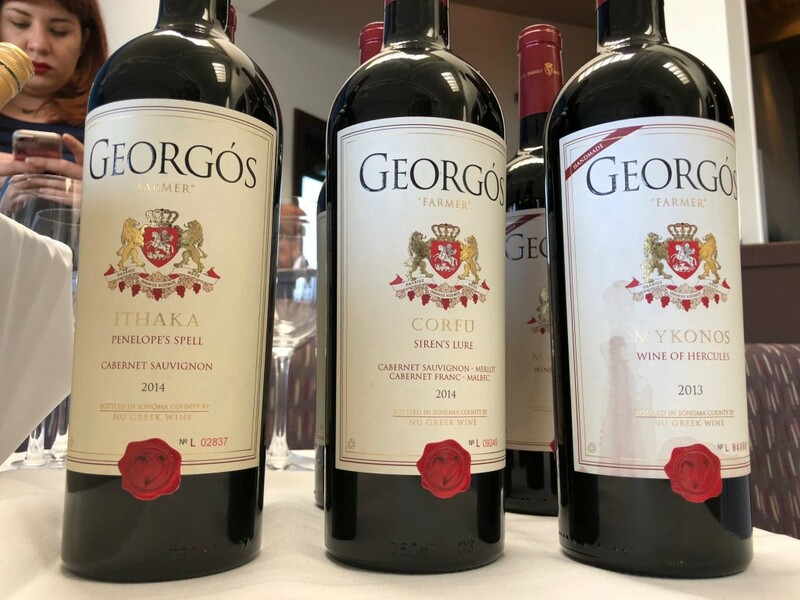 It’s their intuitive understanding, quiet confidence and desire to produce only the best they can from each vintage that has made them Australian benchmarks, universally acclaimed by wine critics across the globe. 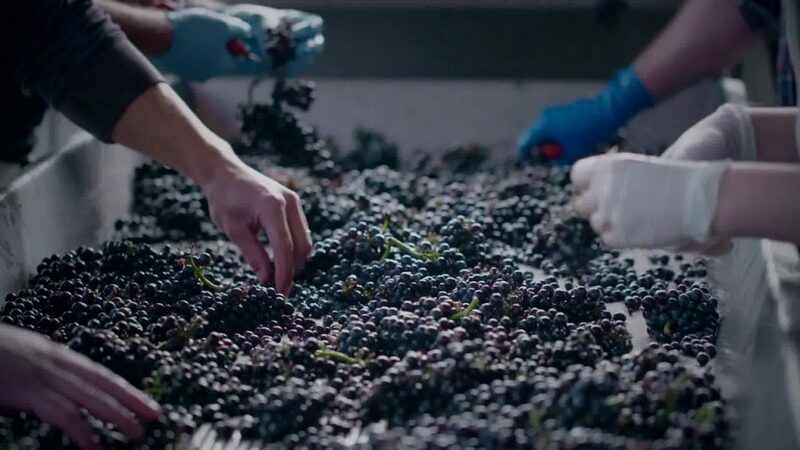 We see as our mission the promotion of Australia’s ‘real wines’, championing those winemakers who give everything in their pursuit of truly distinctive, regionally defined styles that sit comfortably with the world’s best. And who believe they can do it even better again next vintage! It’s an enlightening, exhilarating journey. Welcome aboard. Executive Chef Hugo Vasquez of TOSCANA. Chef Hugo has been an integral part of TOSCANA for over 25 years, starting in the back kitchen and learning the art of Tuscan cooking at the side of the renowned Chef Agostino Sciandri. TOSCANA announces autumn in Southern California with the arrival of the finest white truffles imported from Abruzzo, Italy. Supplied by Ariola Imports, the fragrant white truffles will be hand-shaved over a selection of Executive Chef Hugo’s delicately prepared dishes. The menu is designed to showcase the extraordinary character of this highly prized and valued tuber that has a following of aficionados tantalized by generous shavings on foods ranging from fresh eggs to Kobe beef. 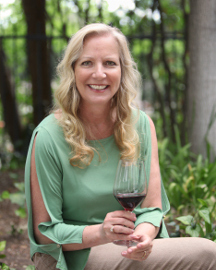 Wine Director and Certified Sommelier Emily Johnston has selected a variety of premium Italian wines – both bottled and by the glass – that complement the menu. The white truffle menu will be offered until the new year, or as long as supply lasts. TOSCANA’s complete à la carte menu and wine lists will be available as well. Available beginning November 1, 2015 and continues until January 1, or as supply lasts. 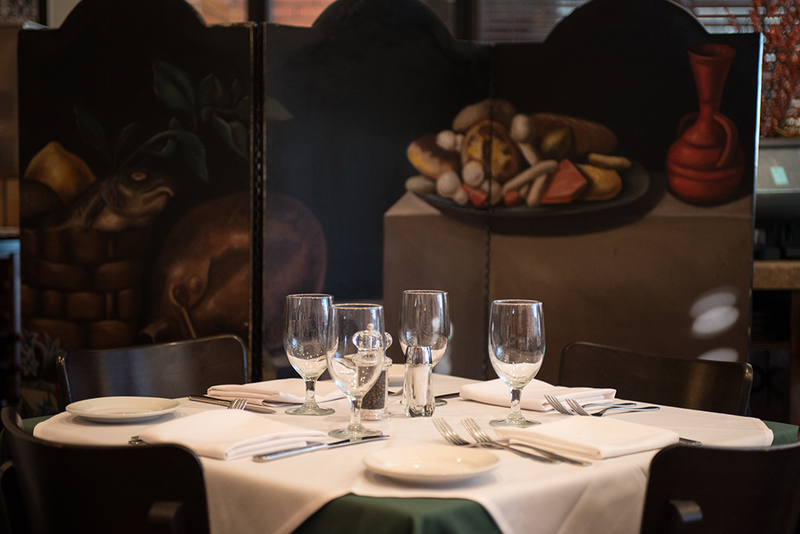 ABOUT TOSCANA: TOSCANA quietly opened in February, 1989 by first time restaurateurs, Kathie and Mike Gordon who dreamed of creating an Italian trattoria in their own neighborhood where friends and family could come together to eat simple, delicious food just like they found in Italy. Amidst the cozy environment celebs, locals and tourists alike are treated like family while being served by the infamously friendly staff. TOSCANA‘s success has exceeded all expectations for over 25 years. 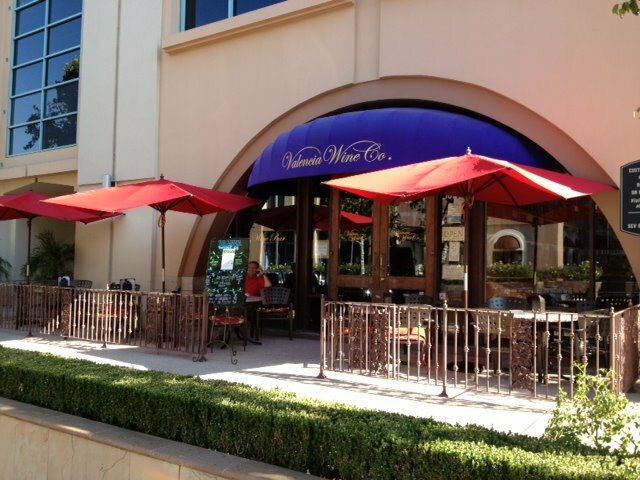 Vintage Beacon Circa Nov 2010: Holiday Tasting by Valencia Wine Company Again! Back for a 6th time, and better than ever, Guy Lelarge, the staff of Valencia Wine company, dozens of wine representatives from the U.S. and abroad, Chef Daniel Otto and the Oaks Grille staff, gave guests an “all-you-can-taste” shopping spree. That last part, about the shopping spree, refers to guests that were able to get (from the wine list at the end of this post) a nice discount for bottles purchased at the event. 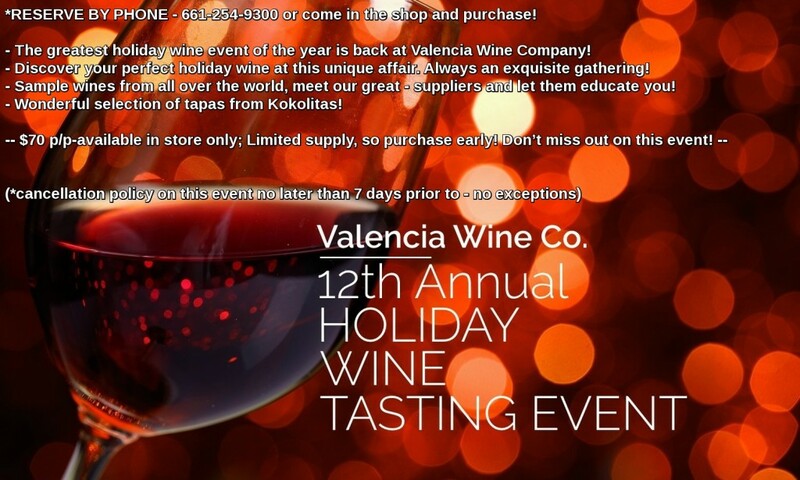 One more reason to attend the annual wine tasting: A jump-start on holiday shopping! 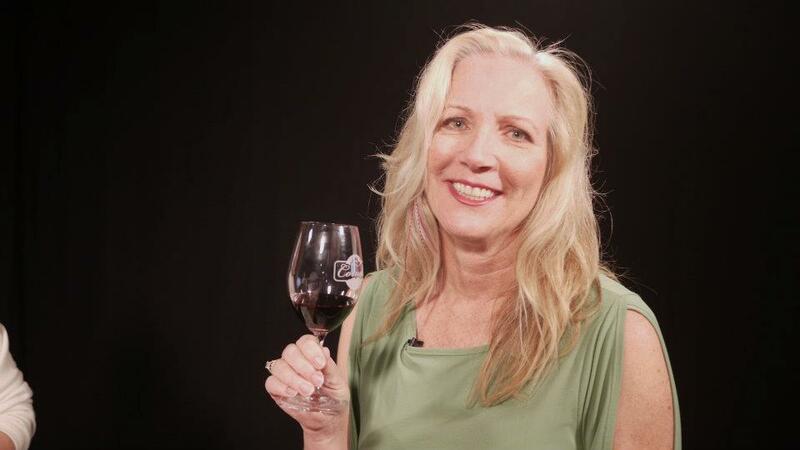 Once again, this being the second once again, I youtubed some of the shenanigans at Eve’s Wine 101 YouTube Channel. But in case that’s not your bag, I’ll fill you in on some of the details here. Of the 15 tables serving wine I was maybe able to visit 10. The wines that I really dug I italicized below in the list. Guests paired some outstanding Champagnes, Sparkling, Ice Wine, Bordeaux, Barbera, Barolo, Chianti Classico, Amarone, Cabernet Sauvignon, Petite Syrah, White Burgundy, beer, Sangiovese, Tempranillo, Cabernet Franc, etc., etc., with heavily laden cheese trays and many passed appetizers. The convenience of a seasoned meatball, or wonton, handed to you by a smiling server – without having to interrupt your tasting – was perfect. I enjoyed visiting with, and learning from, many representatives: Dean Cox of Tanaro River Imports, Robert Posey with Vinifera Imports, Wendy Roberts from Wine Warehouse, Dennis Hyde for Cosentino Winery, George and Jennifer Skorka with Frank Lyn/Angeles Wines, just to name a few. In our store customers are allowed to taste all of our products before choosing a bottle of a size to their liking to take the product home. On one side of the store are wonderful olive oils, infused olive oils (citrus and herb infused such as tangerine, basil, rosemary, oregano, truffle etc), nut and seed oils (pistachio oil, pumpkinseed oil, hazelnut oil etc), wonderful aged balsamic vinegars and fruit vinegars such as calamansi, pear, chili-fig and date. On the other side of the store are single malt whiskeys, cognacs, armagnacs, grappas, liqueurs (including the Green Fairy–Absinthe!) and other spirits. We do have a wine section as well. From your background you I’m sure have much more experience with wine then we do but we are learning fast! Customers can sample anything in the store (including the wine…and the Absinthe!) and then select from a multitude of bottle sizes (50 ml to 750ml) to take the selected products home. If they choose an oil or vinegar they can bring the bottle back and we will refill it for them as well. We do private tasting and cooking events as well. We have chefs on staff who can provide you with a full tour of our offerings and suggest various pairings and uses for our products. But allow yourself an hour or so if you want to experience the whole store. We would love to have you come in and look, taste and enjoy with us! My partner Mike Romance and our General Manager Chef Matt Belzano will be in the store tomorrow and would be happy to host you and give you the tour. Let us know if this would be convenient and we will look forward to meeting you. The only thing that comes prepackaged at Vom Fass? The wine. Although they are happy to open up a bottle, along with anything else in the store, for a sampling. I kept my sampling to things I’d never tried before: Grappa, 144 proof Absinthe and cask strength single malt Scotch. You could have three tastes of the spirits on the house, and then pay $1 for additional tastes, but Vom Fass isn’t a bar. It’s a store. And this is what I found on their shelves: spirits, liqueurs, Absinthe, Grappa, fruit brandies, Cognac, Armagnac, domestic and imported wines, Scotch and Irish Whiskey. Then came the extra virgin olive oils, wellness oils, nut and seed oils, infused oils…whew…and you have to have the vinegars to pair with the oils right? 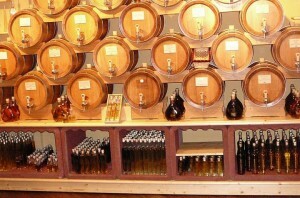 They have aged fruit vinegars, wine vinegars and Aceto Balsamico Di Modena, the “king of sweet and sour seasonings”. Tastes of the oils and vinegars are unlimited and free. I tried truffle oil, ginger sesame oil, grape seed oil, lemon oil and…and learned that they were imported from all over Greece, Spain and Italy. A drop of very special vinegar was then added to the oil in my tasting spoon – “Aceto Balsamico Di Modena Maletti Riserva Speciale. OMG, I had died and gone to heaven in Italy. Mike Silk, one of the store chefs, and Matt Belzano, a chef and the General Manager, were there that day to help me. Mike told me that his years with the culinary school in Oxnard as well as his restaurant experience with the Plug Nickel and Mariann’s Italian Villa, suited him to staff a shop like this. And Matt, with equal culinary credentials and management experience, led me on to my first Absinthe tasting. With 72% alcohol and 140 proof I was happy to watch the “Absinthe Fountain” dilute the star anise liquor from its bright green color to a more manageable shade. The fountain trickled water over a waiting sugar cube and into a small glass. From that I had my first, and possibly not my last, taste of Absinthe. If for nothing else, go to Vom Fass for that! By the time I got to the single malt Scotches I had grown anxious – as I was keeping track of so many new favorites! So I took advantage of their bottling. I could get any size glass container, and in a wide choice of unique styles, of whatever I liked. I have a square bottle of absinthe, a couple of mini pitchers of the Modena vinegar and the truffle oil, and two small (compared to my normal stash) bottles of single malt. The smaller sizes made it easy for me to take home more “samples” of what I liked. I watched as they hand-wrote on each bottle with a thin white marker. What a show that was! I’m planning on making a show of them again later when I have friends over! No doubt that my find was truly unique. Who’s to say that when you go, and you shall, you might choose the same item in the same container? While my order was being wrapped up I learned that Vom Fass, established 17 years ago, has 250 stores in Europe. This one, in Westlake Village, is the only one in California so yes, dear reader, I drove almost an hour for this. And, I will again!